Watermark: gauntlet with four-petaled flower; letters R and G with heart between in cartouche. 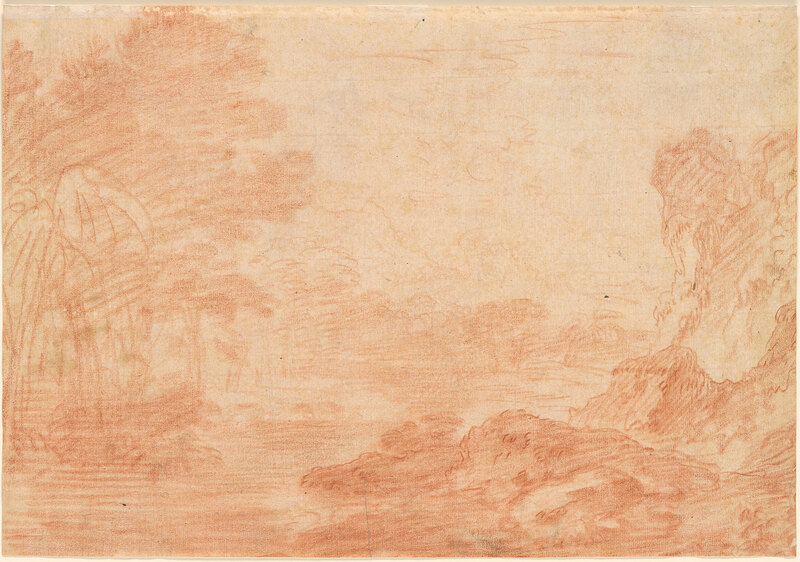 This drawing is on the recto of Watteau's "Landscape" (Acc. No. 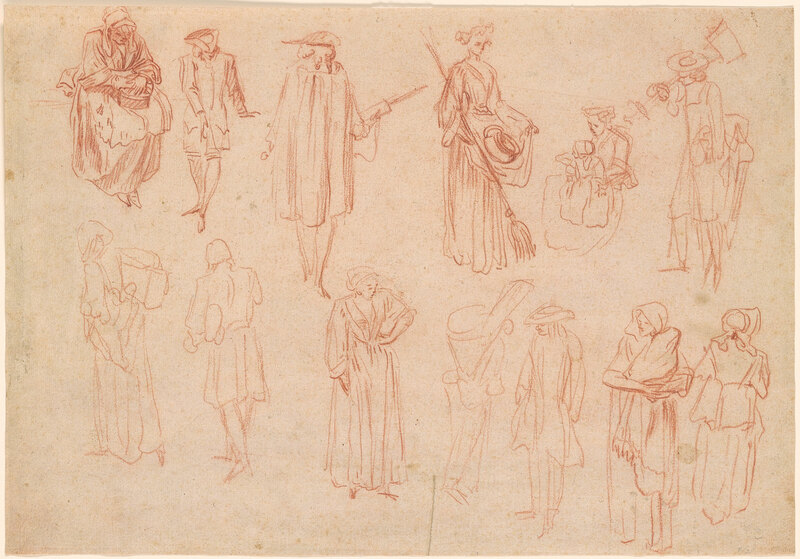 III, 90).